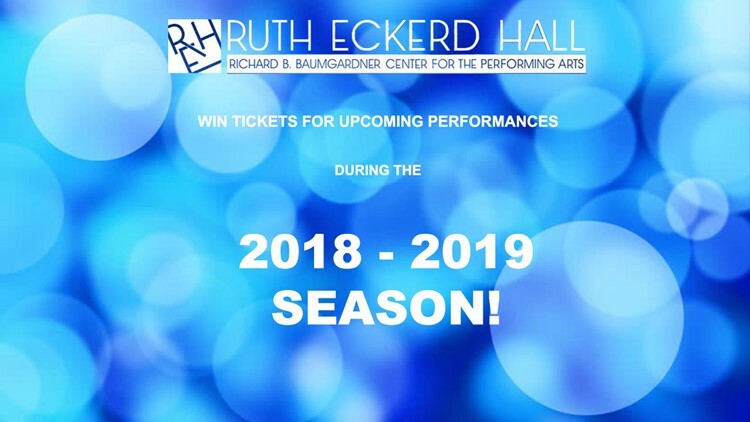 Win tickets to Ruth Eckerd Hall's 2018 - 19 Season! Register here to win tickets to a performance by A "Finding Neverland" and "Jonathan Larson's RENT" at Ruth Eckerd Hall!! The 2018 - 19 season at Ruth Eckerd Hall is upon us, and we want to send you to a show! All this season, we're giving away tickets to shows there, and we're starting with Dave Koz! Register here for your chance to win a pair of tickets to “RENT” – the rock musical that forever changed the landscape of American theatre. Two decades after its Broadway premiere, Jonathan Larson’s RENT continues to speak loudly and defiantly to audiences across generations and all over the world. And now, this Pulitzer Prize and Tony Award®-winning masterpiece returns to the stage in a vibrant 20th anniversary touring production. RENT comes to Ruth Eckerd Hall on Thursday, April 11, 2019.